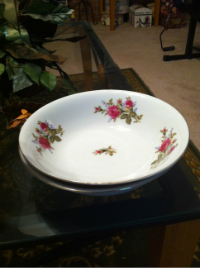 These are excellent condition Thames rose vegetable bowls, round shaped. They are marked Thames china, Made in Japan. I have 2 right now. They are 9" round serving bowls.